The Passenger Rail Reform and Investment Act passed last week by a vote of 316-101 (132 Republicans joined 184 Democrats in voting for the bill; 101 Republicans voted against). The Act holds funding for Amtrak, the USA’s national rail network, at current levels. 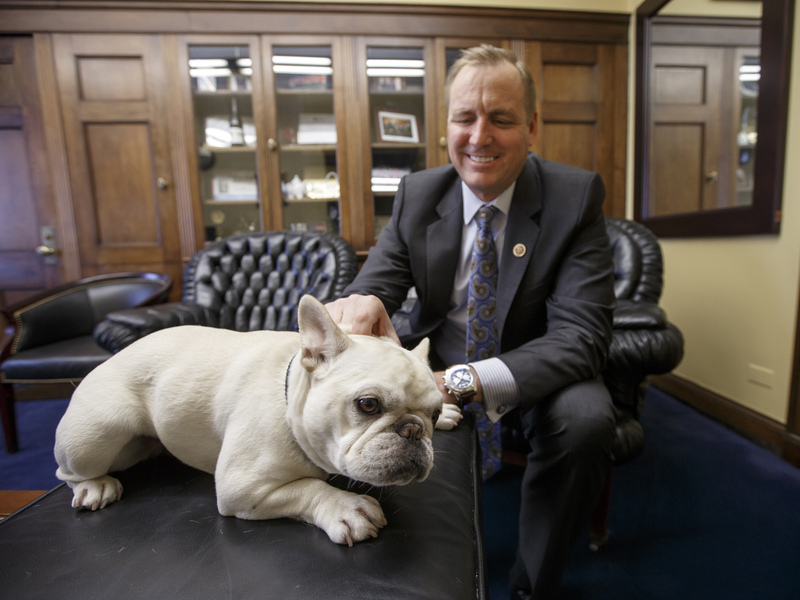 Representative Jeff Denham, a Republican from California, supported the bill because he likes to travel with Lily, his French Bulldog. Lily can ride on airplanes with Denham but has been unable to do so on train trips. In 2014, Amtrak initiated a trial project into pet-friendly travel. That trial was only in the Chicago area – now Amtrak must accept pets on a much wider basis.